New Customers Only – Money Back Guarantee! 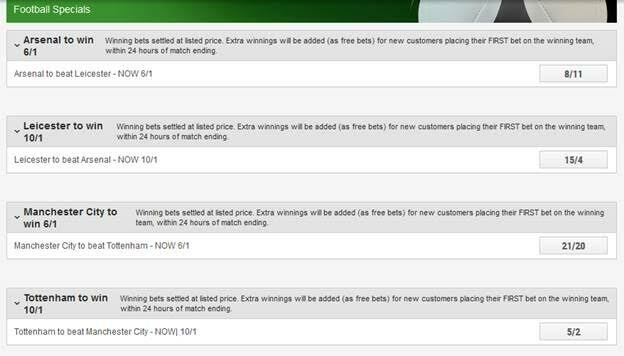 Ladbrokes is offering several price boosts going into Sunday, with a New Customer exclusive offer! 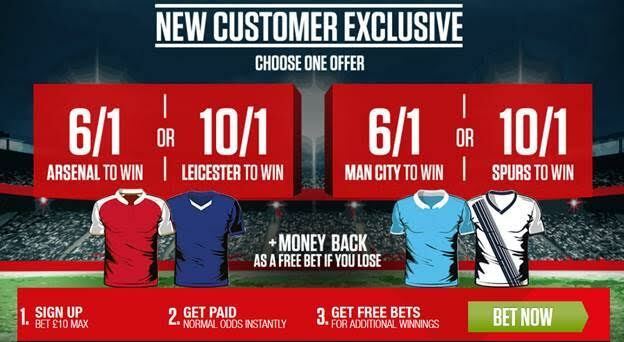 This weekend Ladbrokes is running two huge offers on the Sunday matches – Arsenal v Leicester and Man City v Tottenham. 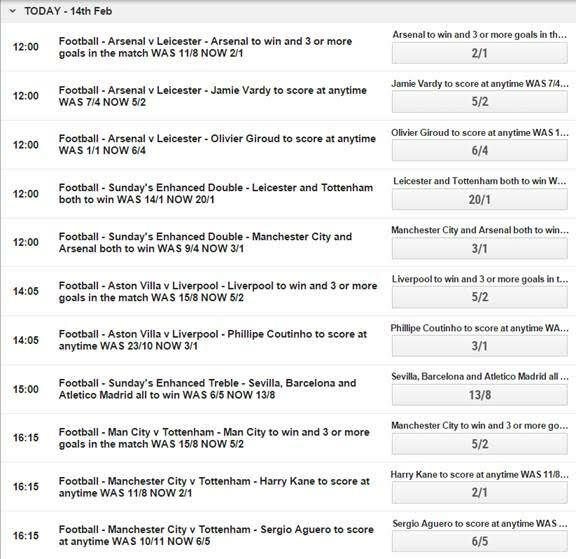 Place your first bet of £10 on one of these teams to win, and if you lose, get your money back in the form of a free bet! The above offer is only available to new customers, but there are price boosts also available to existing customers below. Ladbrokes are enhancing the odds of Ireland to win, boosted from 13/8 to 2/1! 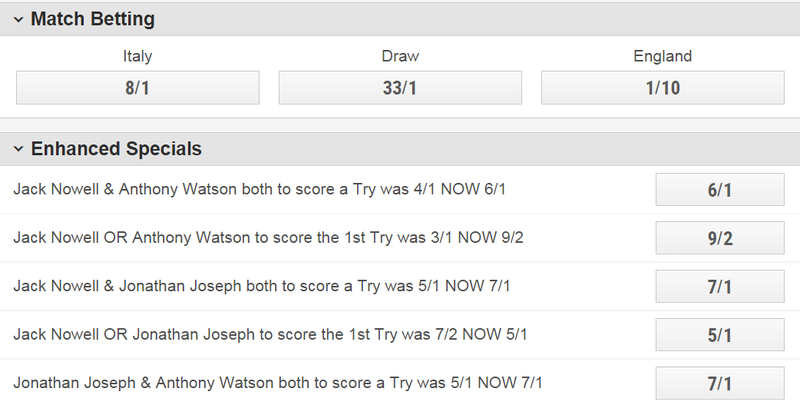 Enjoy these price boosts from Ladbrokes! Click here to visit Ladbrokes. Read our review of Ladbrokes here. Get the Ladbrokes Casino software and get 25 free spins! 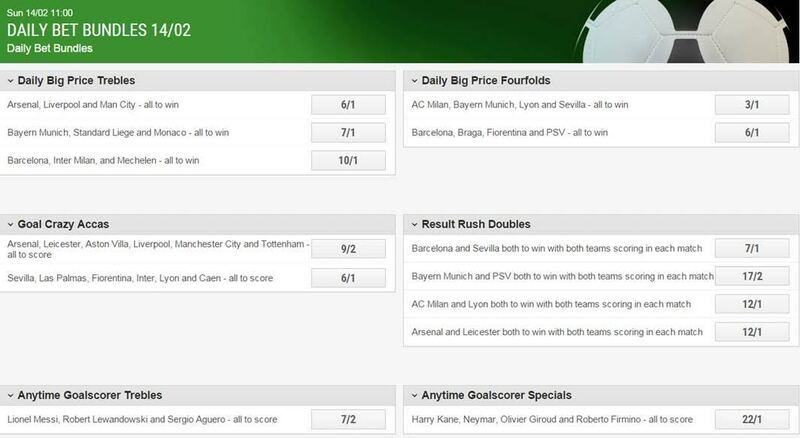 Ladbrokes Enhanced Offers for the Weekend! Bet on the Premier League at Ladbrokes!